The All-American Academy is excited to announce the #1 Exposure Event on LI this summer 2019. 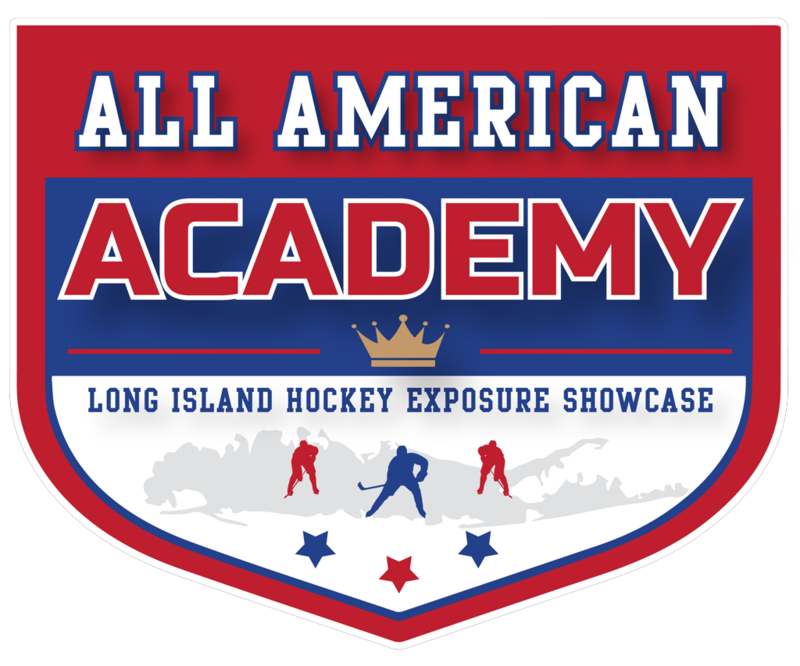 The Long Island Hockey Exposure Showcase will be an event unlike any other LI hockey has ever seen. A selection process will be held so that only selected and qualified players are in attendance. This event will be for LI and Metro NY players at the 14U, 15U, 16U & 18U age range. Players are expected to be of the AAA and AA caliber. If you are interested in attending this highly scouted event, please fill out the questionnaire and your application will be submitted for review. Once you submit an application it will be reviewed. If accepted, you will receive an acceptance email confirmation. Applying does not guarantee acceptance into the event. The Exposure event will provide on ice sessions with various high-profile coaches from NCAA Division I and III, ACHA, USHL, NAHL, EHL, and Prep school coaches and scouts. See our list of committed coaches that are attending the event. College, Junior and Prep Coaches will rotate through the teams to conduct on ice morning skates followed by afternoon games with on the bench interaction and coaching in games. As well as, an educational and recruiting seminar where players and parents will have a chance to enjoy a Q and A with the actual coaches from the various leagues and teams. Space is Limited. 15 skaters and 2 goalies per team. The All-American Academy gives players exposure to many of the top College Hockey Coaches and Programs in the Country. Many of them who grew up playing and competing in the local rinks and organizations right here on LI. The Showcase games and Practices with small area games allow coaches an opportunity to instruct and evaluate players. The Recruiting Seminars give players and parents information that will help them navigate through the recruiting process. ©2019 All American Academy / SportsEngine. All Rights Reserved.